Boasting a cosy snug public bar with a log burning stove and real Ales on tap, pool room off, the hotel and the locals are always welcoming to new faces. 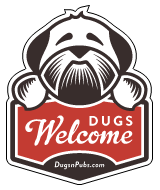 Doggies are welcome in the bar – on leads please! There are a total of 2 dog friendly listings in the Gifford category. Please log in, or sign up as a member to view all listings.